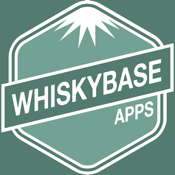 Whiskybase.com App is an app that makes the biggest whisky database in the world accessible for iOS users. Information about more than 50.000 whisky and whiskey bottles from hundreds of distilleries together with thousands of ratings and tasting notes all available on your phone and tablet. With this app you can add your own information to the database too. More than 17000 whisky enthousiasts joined already. Please join too, you’ll like it. Whiskybase highlights two elements: you as whisky lover and single malt Whisky. Every whisky lover has an opinion about the malt he just drank. At Whiskybase you can leave your opinion in a message or note and compare it with other people's opinions. Whiskybase is also the place to show your whisky collection and rate the whiskies you have tasted. By doing so, you can explore the beautiful world of whisky and find interesting new flavours.